The Nonprofit Leadership Initiative, in collaboration with the Helen Bader Institute for Nonprofit Management at the University of Wisconsin-Milwaukee, is co-hosting a presentation by Georgia State University Director of Nonprofit Studies, Dennis R. Young. Nonprofits are constantly seeking to develop an efficient, yet sustainable, income portfolio that supports both their mission and the good work they undertake. Benefits theory connects an organization’s mission, the public and private benefits it produces and the societal groups it benefits, to an appropriate, yet manageable income mix. In this presentation, Professor Dennis Young will explain how benefits theory allows nonprofit organizations and social enterprises to fully exploit their potential sources of resource support. The morning presentation will draw from Dennis Young‘s book Financing Nonprofits and Other Social Enterprises. 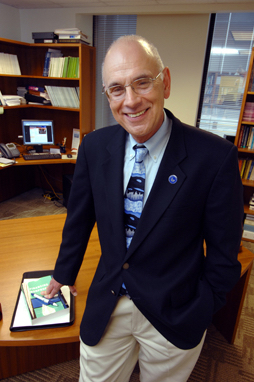 Dennis is also the founder of the National Center on Nonprofit Enterprise. Event is open to any Fox Valley nonprofit staff, board member or volunteer.